Tired of haters spewing hatred at people they call haters? Sick of free speech only for those who agree with someone? Fed up with the lack of civility in our civil discourse? Done with all the creepy hypersensitivity to possibly wounded feelings? This award-winning journalist has had it with fat-shaming and all-shaming, seething sexual assault in the workplace, and people who scream others down because they think differently. She reveals ways to survive and thrive in this world that demands political correctness...or what she calls political quackiness. Part memoir and part life lessons, Martin celebrates everyone who stands up to bullies, while she examines political spectacles, and reveals why we are in the New American Revolution. She empowers the independent spirit in all of us, telling it like it is...from the fact that personal rights carry personal responsibility to today’s rampant racism, divisiveness, and the addiction epidemic plaguing our nation. 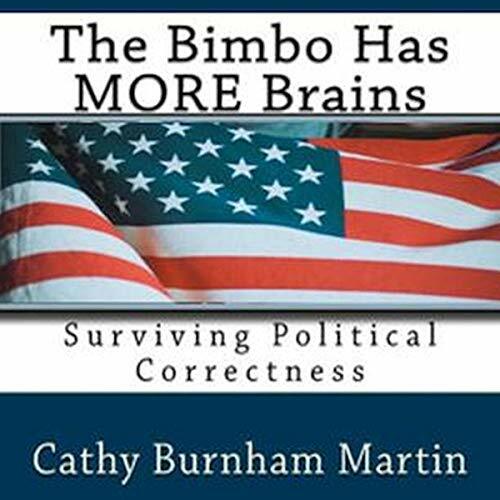 Dashing double standards and stomping on stereotypes launched the 2016 hit The Bimbo Has Brains. Listeners loudly clamored for more political incorrectness, and Martin delivers! Call the PC police, because there are no holds barred.